Now that we have defined the objective of this tutorial in the previous post ("Dare with the Python: an experiment for all"), we will really begin to work. 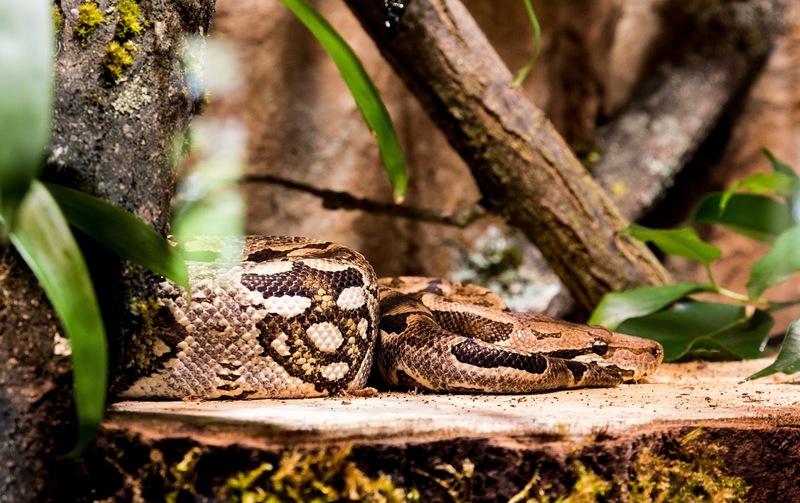 We kick off our first project in Python with the installation of the environment, the installation of the SciPy platform and the scikit-learn library. We can do it directly from the Python page, however, we will do it in the simplest way (recommended for beginners), which is through Anaconda. 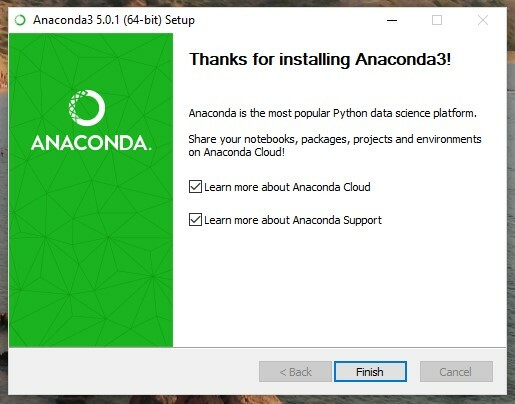 Anaconda installs Python, the development environment and the most important libraries for Mathematics, Science and Engineering, avoiding the difficulty of installing the different packages independently and the possible compatibility problems that may arise. 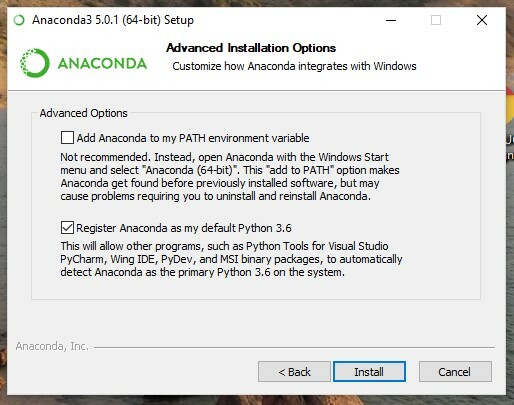 In this first tutorial post, we will learn how to install an environment to develop Python, with which we will then begin to learn, practice, and develop Machine Learning and Deep learning software. 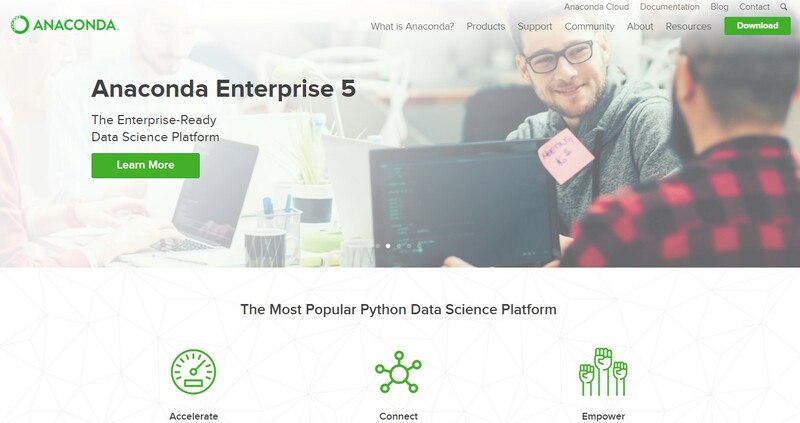 Anaconda is an easy and free environment of Python for Data Science. 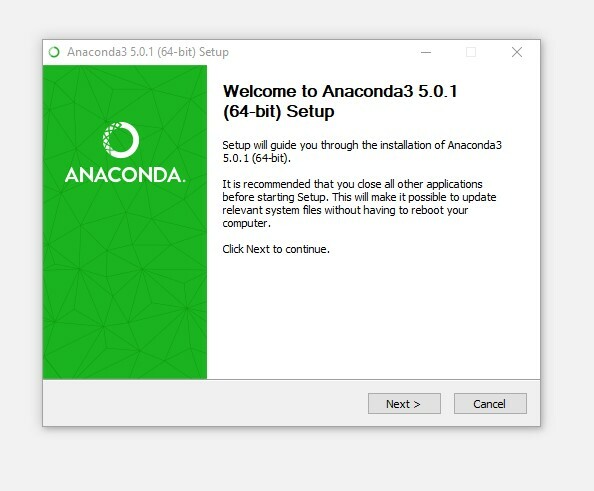 The first strep consist of visiting the web page of Anaconda and selecting ´Download´ on the download’s page. We will download the version 3.6. We will select the installer of 32 bits or 64 bots according to what we have installed in our operating system. (If in doubt, this information should be in the systems settings menu, option ´About´ or similar). Figure 3: We download the installer for our S.O. Figure 4: We launch the installer. If the installation is only for the user who has initiated the session or for everyone in the team who will use it (in this case, it will be necessary to appoint administrative privileges). How we want to integrate our software (in this instance Windows), we select the recommended defect option. And that’s all. Simple, right? 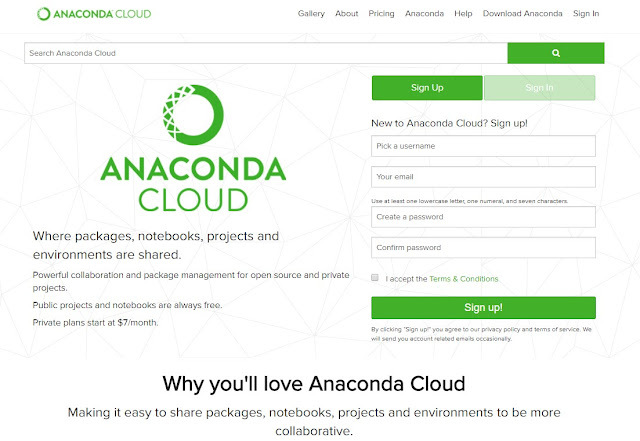 Now we can access Anaconda Cloud, which consists of a management service where we can search packages, access, store and share private notebooks, environments, and the SciPy and conda packages. 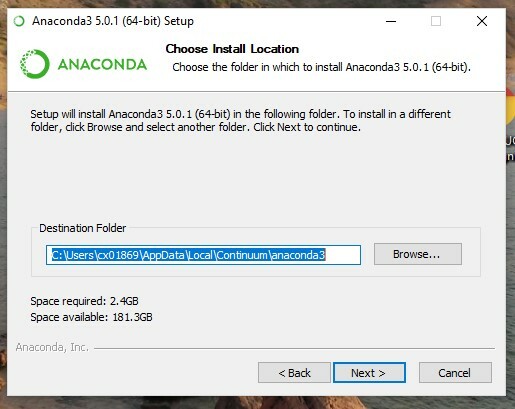 The Anaconda cloud also makes it easier for us to keep abreast of updated versions of the packages and environments that we are using. 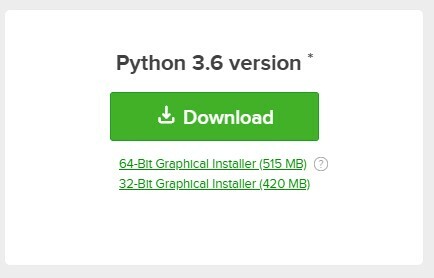 Now, we will make sure that Python has installed correctly. 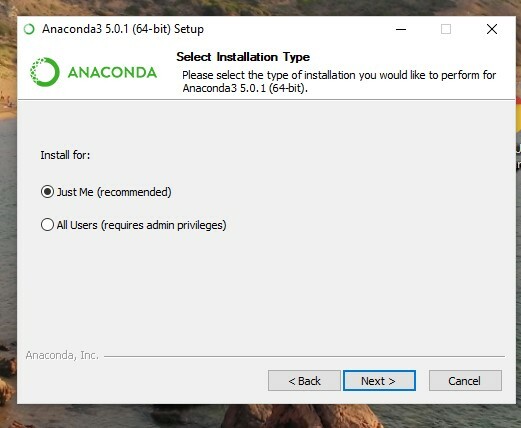 For this, we will open Anaconda Prompt (from one´s own Windows menu ´recently added´) and we will launch the Python interpreter with the Python command. We obtain the following result, that shows us this version. If you write ´help()´ you can access the interactive help feature. Also, you can practice with this tutorial. In particular, we recommend the section ´3 An Informal Introduction to Python´. 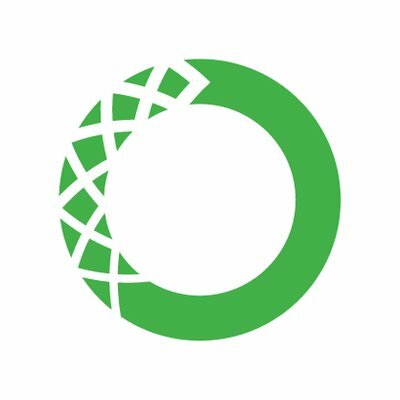 In the following post, we will learn about Jupyter Notebooks, create on of our own and get everything ready to start working on libraries. Don´t miss it! Introduction: Machine Learning with Python for all audiences.